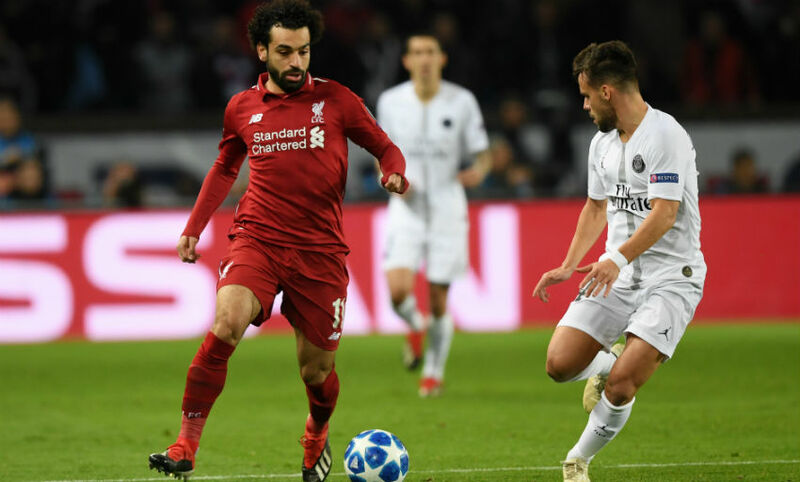 Liverpool suffered a 2-1 defeat to Paris Saint-Germain in France on matchday five of the Champions League group stage. The hosts went into a two-lead lead courtesy of Juan Bernat and Neymar, but James Milner's penalty in first-half stoppage-time gave the Reds hope. However, they were unable to find a second-half leveller. The Reds are beaten in France as Juan Bernat and Neymar's first-half goals give PSG a win. James Milner's penalty in stoppage-time before the break gave Liverpool hope, but despite dominating the ball for long periods of the second half, they couldn't muster an equaliser. Now it goes down to the final matchday to determine who progresses into the last 16 from Group C.
Mbappe goes off, Rabiot comes on. Sturridge booked for pulling back Mbappe. Brilliant challenge from Van Dijk on Neymar inside the box. Liverpool's last change - Milner makes way for Shaqiri. Liverpool's second change - Sturridge comes on for Firmino. That could prove a vital save as Alisson does superbly to keep out Marquinhos' powerful downward header from a corner to keep it at 2-1. Keita comes on for Wijnaldum. 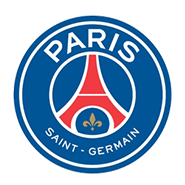 A double change for PSG - Alves and Choupo-Moting on for Di Maria and Cavani. 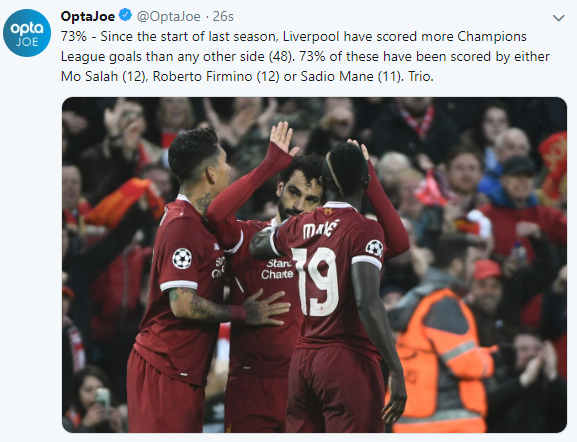 Liverpool putting their hosts under a lot of pressure here. A good start to the second half. Salah curls an effort goalwards that cannons against a defender. The ball is worked back into the area, but Firmino heads wide of the near post. Mane and Robertson combine superbly to open up PSG down the left, but the latter's cross is deflected behind. Marquinhos taps in from Neymar's low free-kick into the area, but is flagged offside. 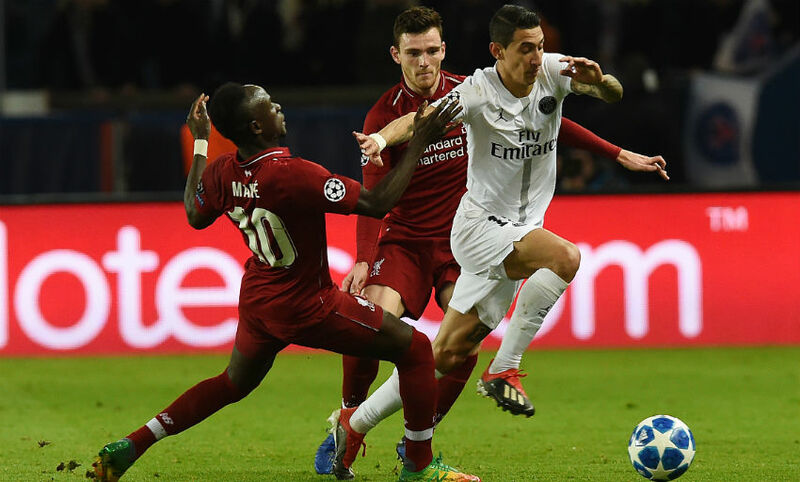 PSG lead at the break thanks to goals from Juan Bernat and Neymar; however, James Milner's penalty in stoppage-time has given Liverpool hope ahead of the second half. 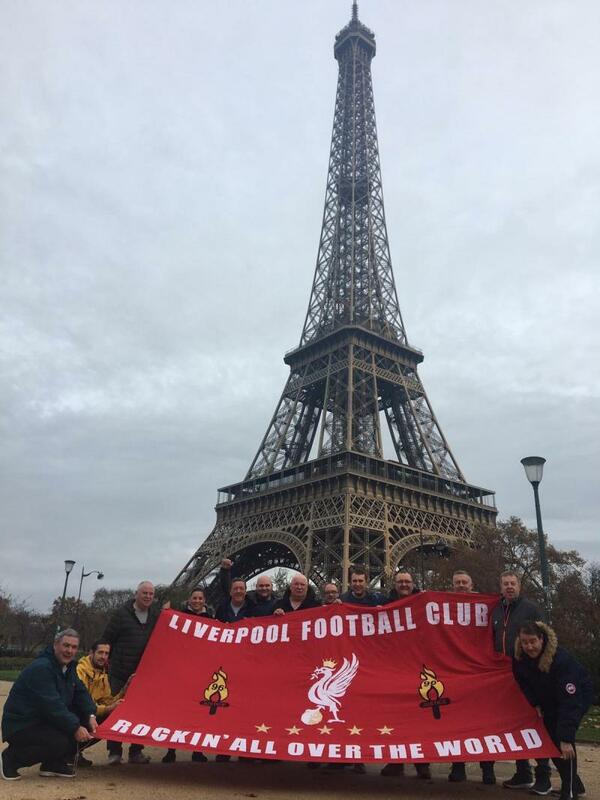 The vice-captain tucks away the penalty and Liverpool have one back in Paris. The referee takes his time, but eventually awards a spot-kick after Di Maria's late challenge on Mane. PSG grab their second of the evening against the run of play as Neymar sends Mbappe speeding down the left on a counter. The striker finds Cavani in the middle, whose close-range shot is brilliantly saved by Alisson, but Neymar is able to steer the loose ball in from six yards out. Joe Gomez is booked for tugging back Neymar. Liverpool have dominated the ball in the last few moments, but a PSG break almost results in a second for the hosts as Alisson clears from the feet of Cavani before Neymar's attempted lob is claimed by the 'keeper. Gomez hurls another long throw into the PSG box. It breaks for Wijnaldum, but his shot is blocked. Verratti is booked for a late, late challenge on Gomez. Liverpool work their first chance of the game as they press Kimpembe into giving the ball away. Milner feeds it to Salah, who shoots wide of the near post. 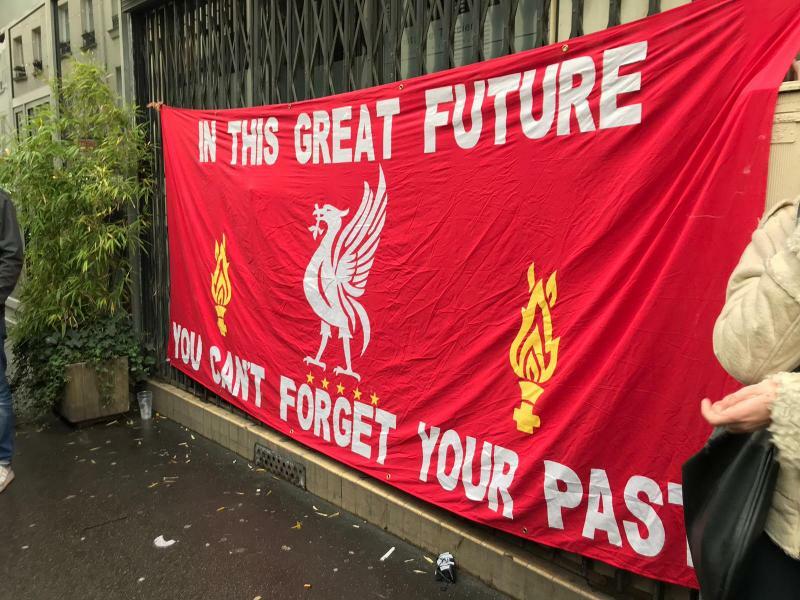 Better from the Reds, though. Gini Wijnaldum sees yellow for a challenge on Neymar. The home team have the early goal they so badly wanted as Liverpool fail to clear a ball into the area properly. It eventually falls for Bernat, whose reverse shot into the corner leaves Alisson flat-footed and sends the Parc des Princes wild. 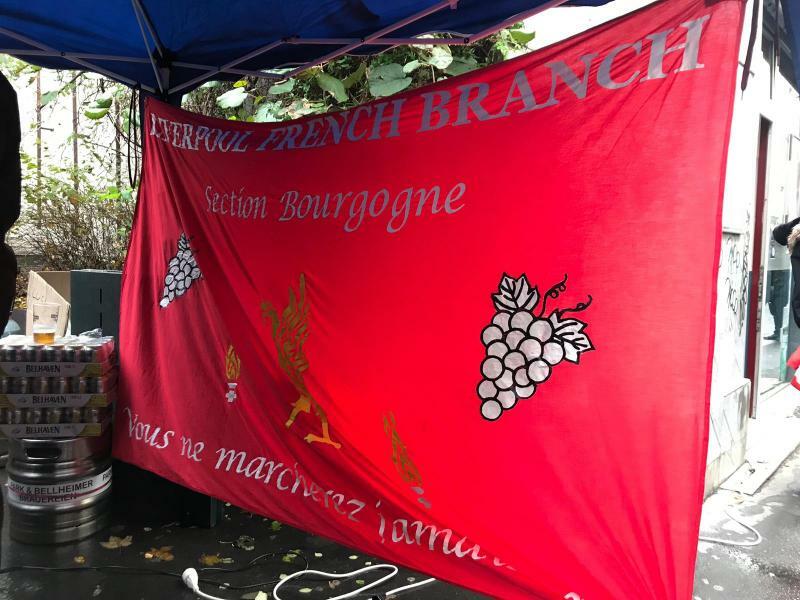 Mbappe has a go from just outside the area, but it's straight at Alisson and an easy claim for the Reds stopper. Liverpool almost - almost - get Salah clean through on goal, but Silva manages to recover as the Egyptian eats up the yards behind him. More pressure from the hosts as Kehrer's low ball into the six-yard box needs to be cleared by Lovren. Di Maria collects Mbappe's chest-off and clips a half-volley towards goal that Alisson needs to push around the post. Now it's the Reds' turn to press as they win a corner before a long throw in from Gomez causes panic inside the PSG box. Mbappe tries to spin into space inside the Liverpool box. 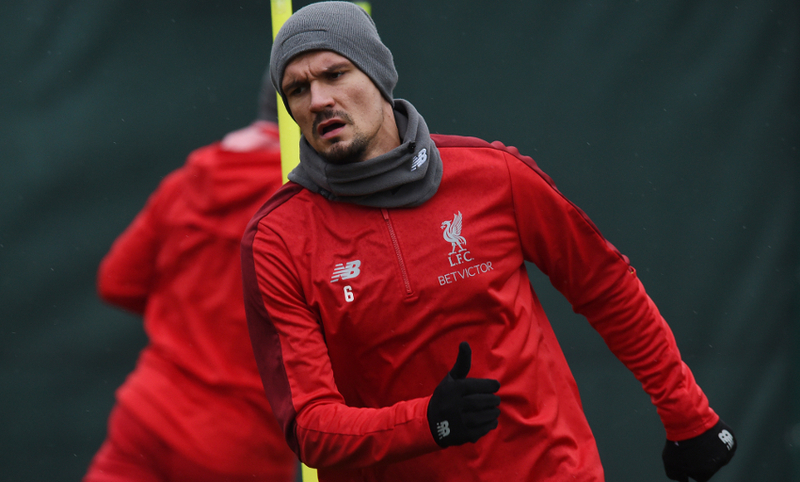 His low shot takes a touch off Lovren and goes behind for a corner. Verratti almost sends Cavani clean through on goal inside the opening 10 seconds as he hoists a ball over the top from deep, but the striker can't get it under control and it rolls through to Alisson. The game is finally up and running at the Parc des Princes as PSG kick us off. 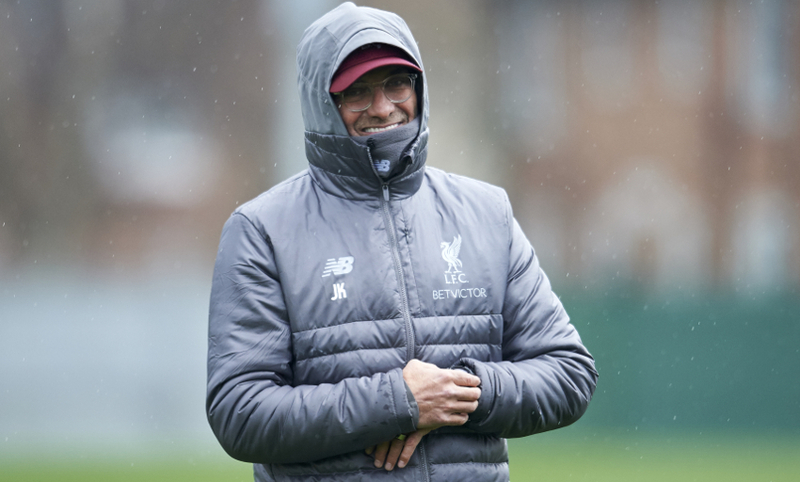 Jürgen Klopp has explained why he's made two changes to his line-up tonight, with Joe Gomez and James Milner coming in for Trent Alexander-Arnold and Xherdan Shaqiri. Liverpool's warm-up is concluded and they head back to the dressing room to a chorus of boos from the home fans. Kick off isn't far away now. A warm embrace between Jürgen Klopp and PSG goalkeeper Gianluigi Buffon as the Italian departs the field following his warm-up. 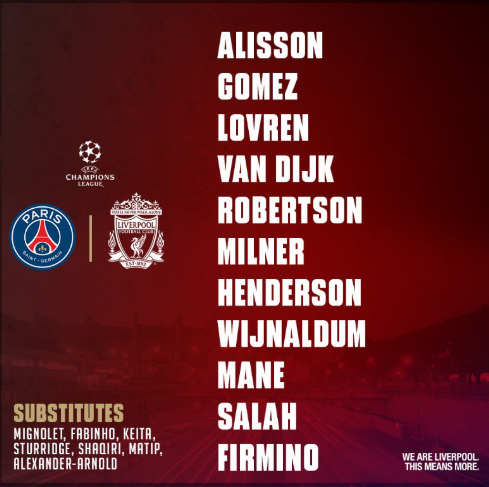 🔴 ALLEZ LES ROUGES 🔴 Line-up: Alisson, Gomez, Lovren, Van Dijk, Robertson, Milner, Henderson, Wijnaldum, Mane, Salah, Firmino. Subs: Mignolet, Fabinho, Keita, Sturridge, Shaqiri, Matip, Alexander-Arnold. 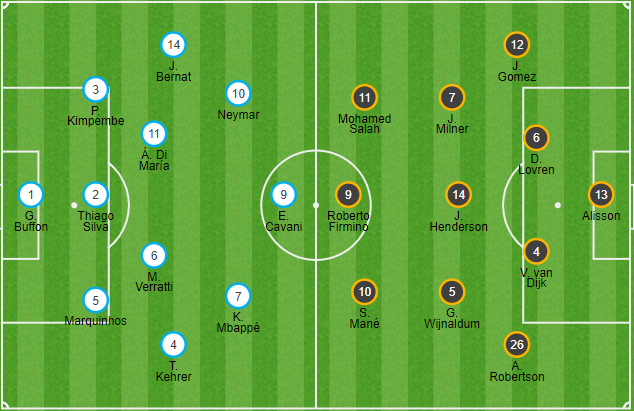 How will the sides line-up? 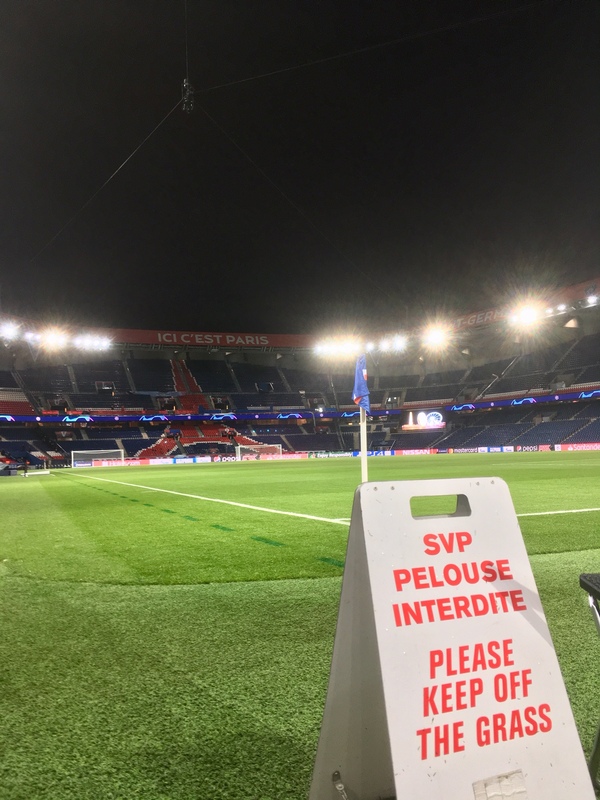 Starting line-up: Buffon, Kimpembe, Silva, Kehrer, Bernat, Marquinhos, Verratti, Di Maria, Mbappe, Neymar, Cavani. Subs: Areola, Alves, Nsoki, Diaby, Draxler, Rabiot, Choupo-Moting. 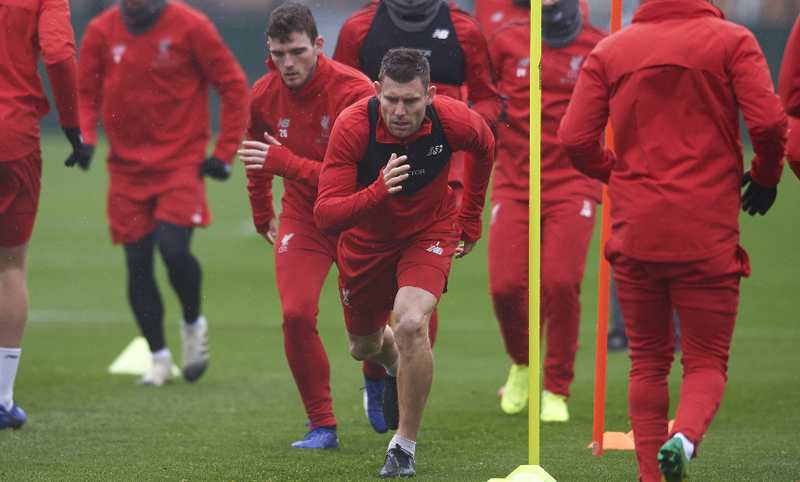 Two changes for Liverpool as the fit-again Joe Gomez joins James Milner in returning to the starting line-up. Trent Alexander-Arnold and Xherdan Shaqiri switch to the bench. 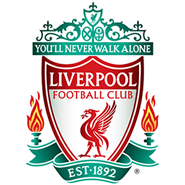 Liverpool: Alisson, Gomez, Lovren, Van Dijk, Robertson, Milner, Henderson, Wijnaldum, Mane, Salah, Firmino. 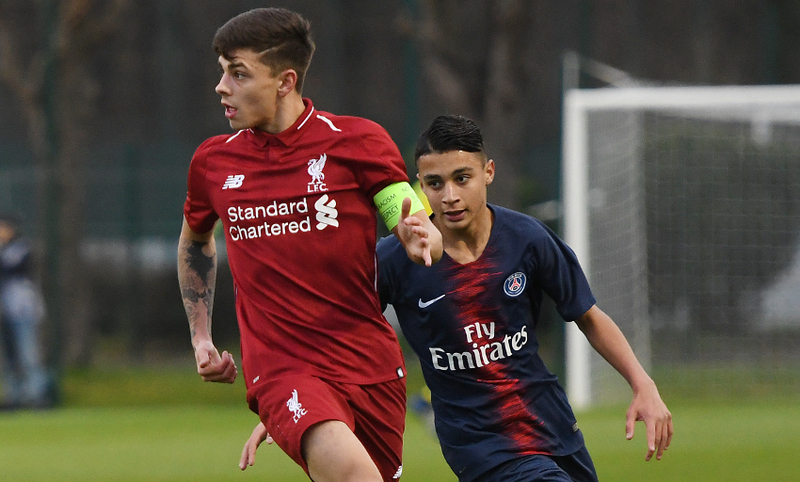 It's all over in this afternoon's Youth League clash between PSG and Liverpool and an incredible game ended in a 3-2 victory for the home side. That means the two are now locked together on 10 points, with automatic qualification for the knockout stages to be decided on the final matchday next month. We reckon those three duels could be key to deciding tonight's contest. 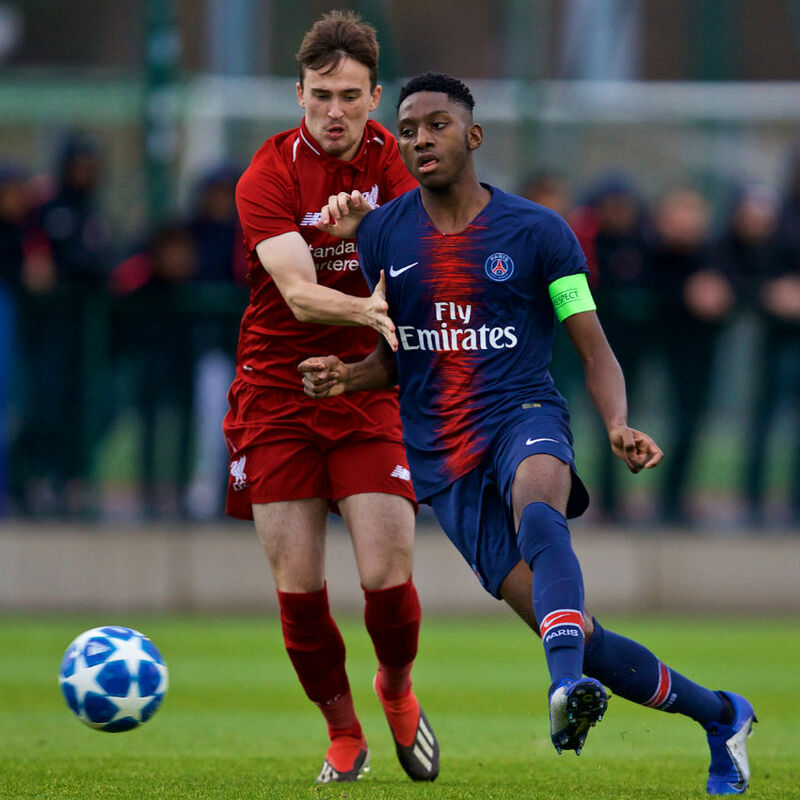 Liverpool's U19s are drawing 1-1 with PSG at half-time of their Youth League game here in Paris, with a point being all they need to seal top spot in Group C with a match to spare. Liam Millar gave Barry Lewtas' side an early lead, before Ruben Providence equalised for the hosts. We'll bring you a full match report at full-time. 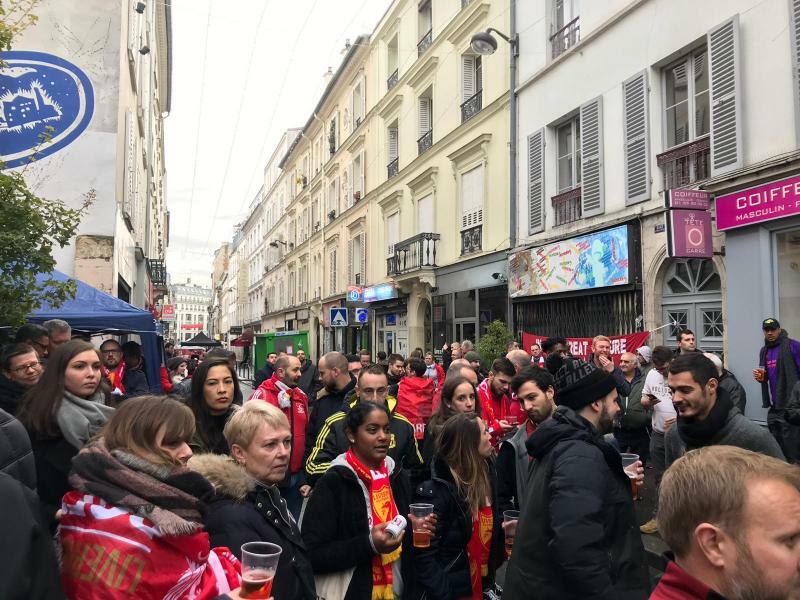 Porte de Saint-Cloud is the designated meeting point for visiting supporters. 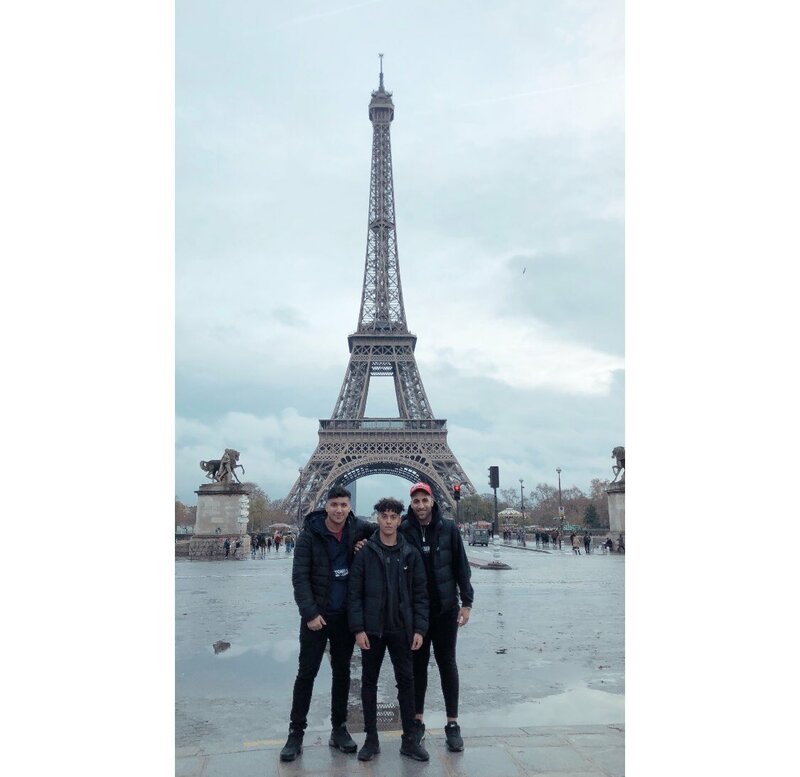 Fans should be aware that the Eiffel Tower is no longer a designated meeting point. However, should you still wish to visit the landmark as part of your trip, you can take the Metro from Iéna station (line 9) direct to Porte de Saint-Cloud. Iéna station is located opposite the Eiffel Tower. Parc de Princes Stadium is built on top of the Parisian ring road Périphérique, approximately four kilometres south-west of the Eiffel Tower, and less than one kilometre from Bois de Boulogne and the Roland Garros tennis complex. Metro stop ‘Porte de Saint-Cloud (line 9)’ is approximately a five-minute walk from the stadium. Line 9 passes right through the Parisian city centre (on the north bank of the river Seine) and connects with multiple other lines. 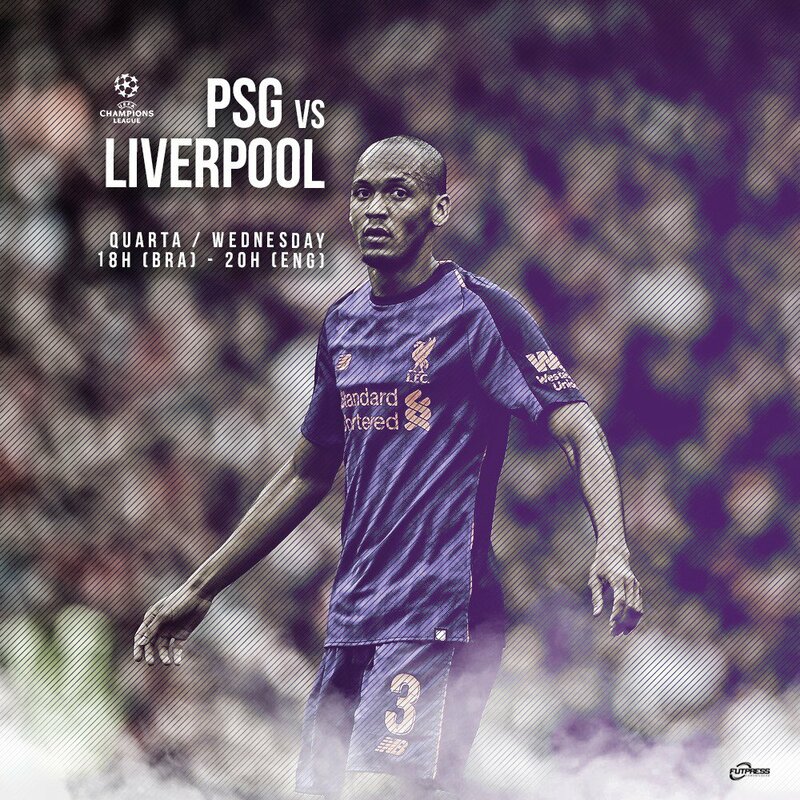 "...compared to the boys in Red..."
A reminder that Liverpool will be sporting their home kit in Paris this evening and will therefore be in all-red at the Parc des Princes. PSG will be in an all-white strip. 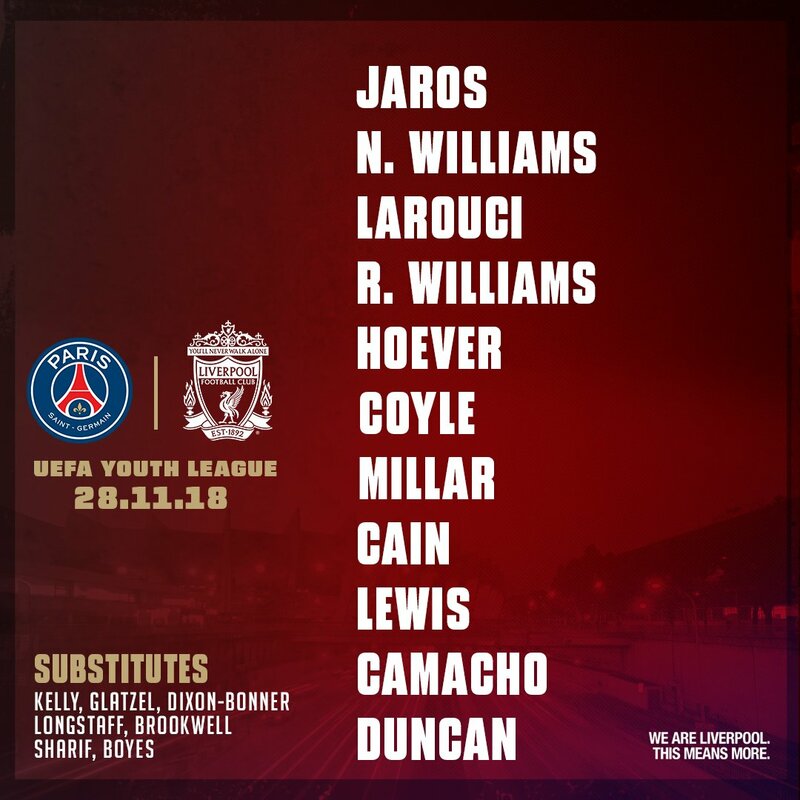 Liverpool U19s have just got their UEFA Youth League tie with PSG under way. We'll bring you a full match report later this afternoon. 📋 Here's how #LFCU19s line up to take on #PSG in the @UEFAYouthLeague. 🔴 ⌚️ 15:00 GMT kick-off. We caught up with ESPN FC's Paris-based PSG and France correspondent Jonathan Johnson (@Jon_LeGossip) to get the lowdown on tonight's opponents, and he told us why our hosts will be desperate to win this one. "Considering that PSG have twice fallen in the round of 16 in each of their last two Champions League campaigns after a sustained spell of quarter-final finishes (which were later deemed unsatisfactory), dropping into the Europa League or exiting in the group stage this season would represent another step backwards." Read our View From feature with Jonathan in full here. 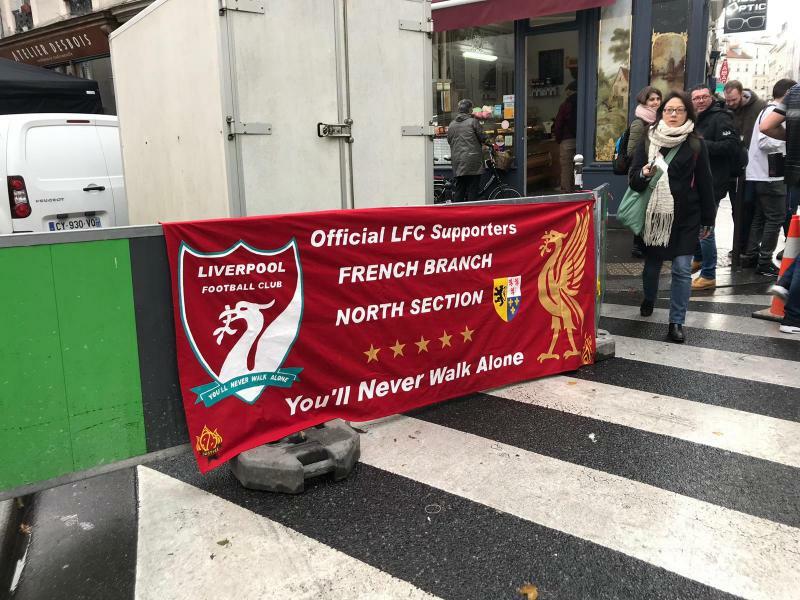 ...of what happened when Liverpool met Paris Saint-Germain earlier this season at Anfield. 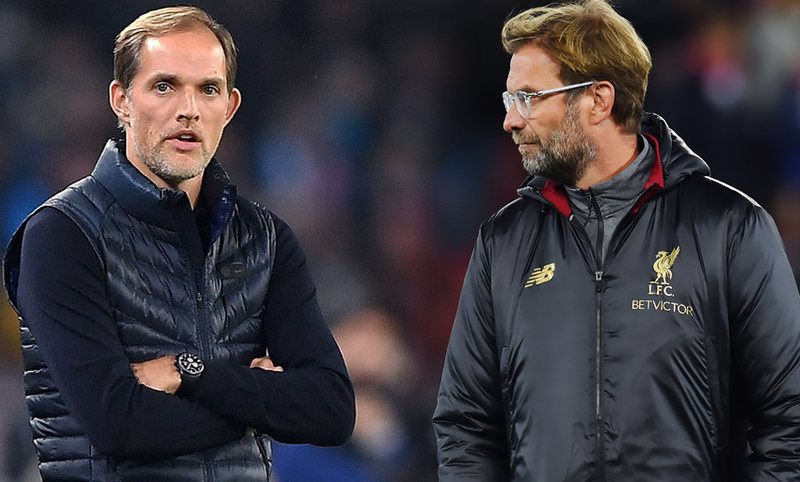 Thomas Tuchel last night reported at his pre-match press conference that has a full squad to choose from. Neymar and Kylian Mbappe were absent for the French champions’ Ligue 1 victory over Toulouse on Saturday because of injuries sustained on international duty, but both forwards will return against the Reds. 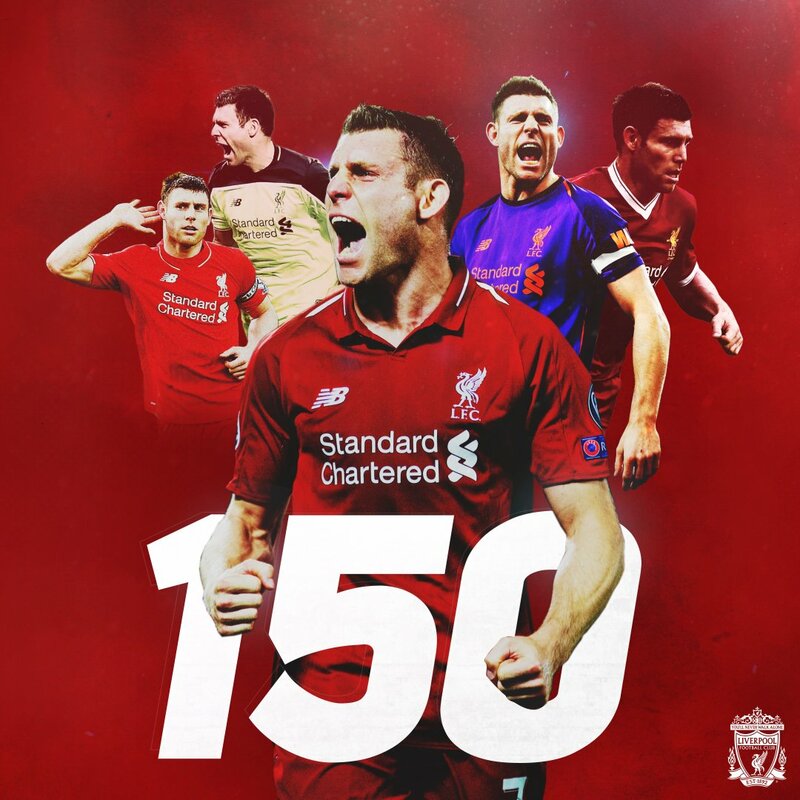 James Milner will play his 150th match for the Reds if selected for the Group C clash at the Parc des Princes. Liverpool have won four of their last seven away fixtures in France, with only one defeat - to a Lille side containing Eden Hazard in March 2010. Home and away against French opponents the Reds have won 17, drawn three and lost nine of 29 meetings. Jürgen Klopp has won each of his last four games against French opposition. 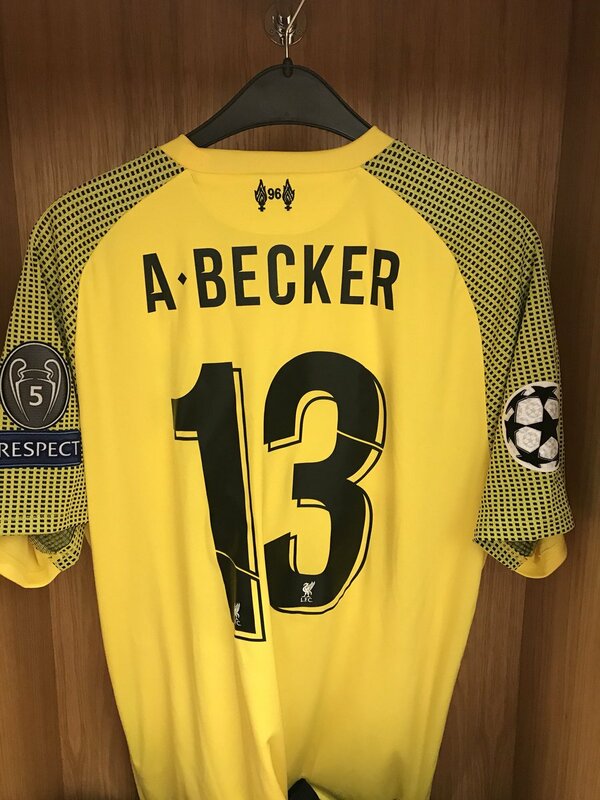 His Borussia Dortmund side beat Marseille home and away in 2013, while with Liverpool he triumphed against Bordeaux in 2015 and PSG earlier this season - both at Anfield. The Reds are two goals short of recording 350 in all games under Klopp. 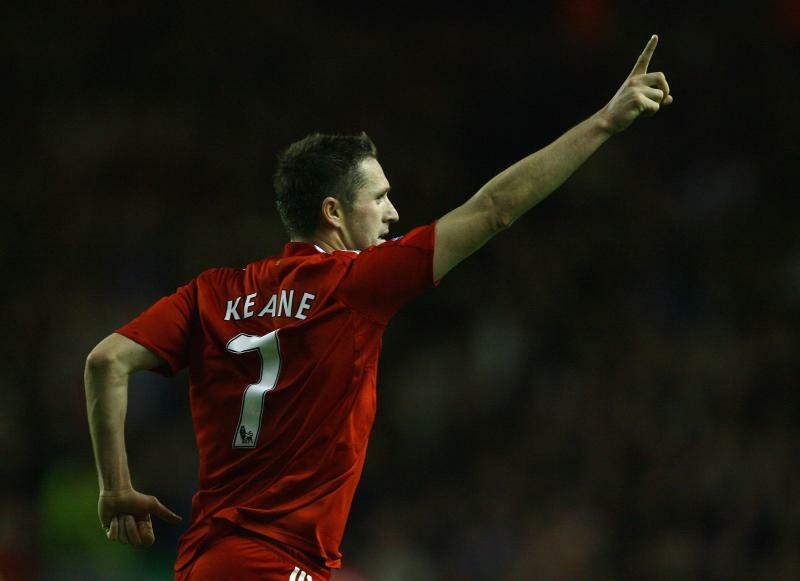 Moving away from tonight's game for a moment, former Liverpool striker Robbie Keane has today announced his retirement from his professional playing career. The forward spent five months at Anfield back in 2008, making 28 appearances and scoring seven goals. The Reds trained at Melwood on Tuesday afternoon ahead of their flight to Paris from John Lennon airport. ...has only reached 75 per cent of his potential so far. 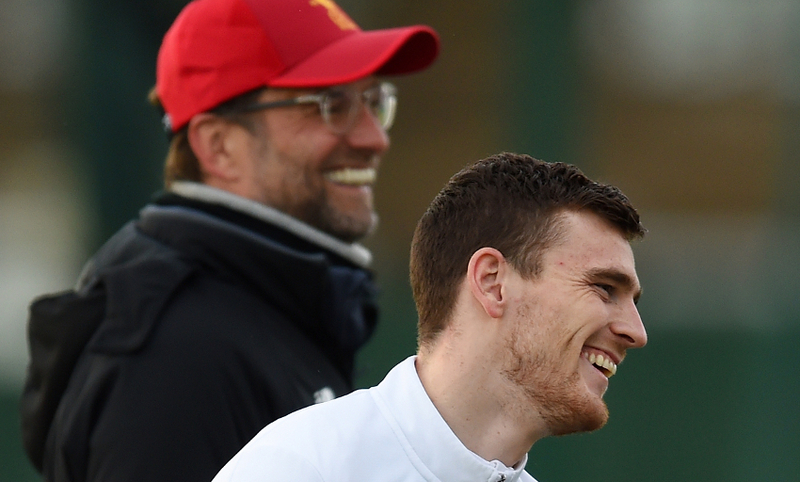 That's according to Jürgen Klopp, who believes there is much more to come from the left-back. “There’s a lot of potential still. But it’s all good. He improved a lot but there is still a lot to come, he is still a young fella. There’s enough time for that." Read our exclusive chat with the boss in full here. 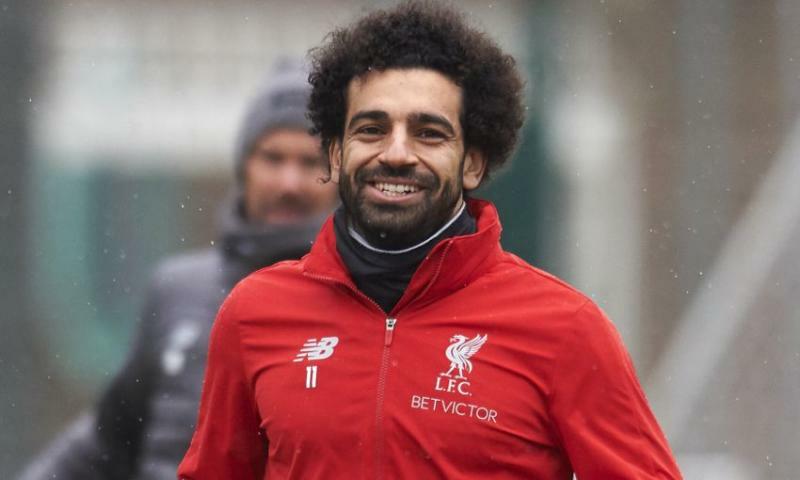 Mohamed Salah heads into tonight's game as Liverpool's top goalscorer with nine strikes to his name so far this season - and Jürgen Klopp believes the Egyptian King is 'back, 100 per cent'. “Since before the last international break it was completely obvious in each session. It clicked again. He’s there. The body is back 100 per cent - his physical things he can rely on." 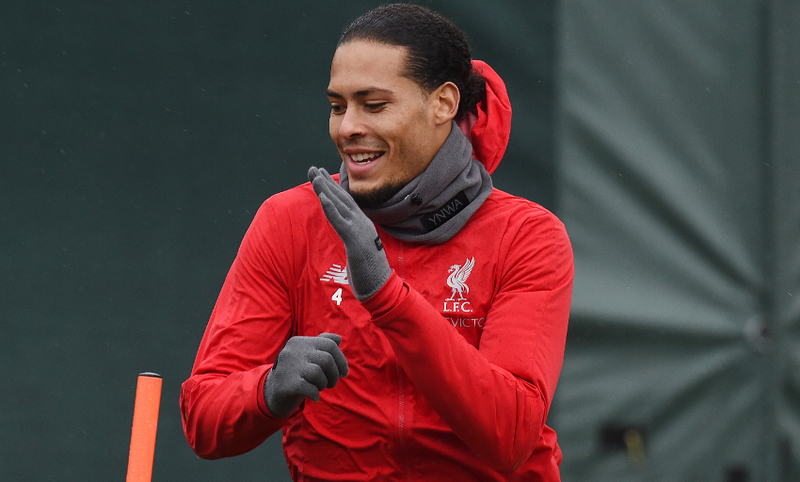 Read more from the boss on Mo by clicking here. The press conference at the Parc des Princes was packed out on Tuesday night as Jürgen Klopp and Joe Gomez addressed the world's media ahead of tonight's game. You can watch it in full below via our YouTube video now. ...here's your Liverpoolfc.com Weather Update Alert. 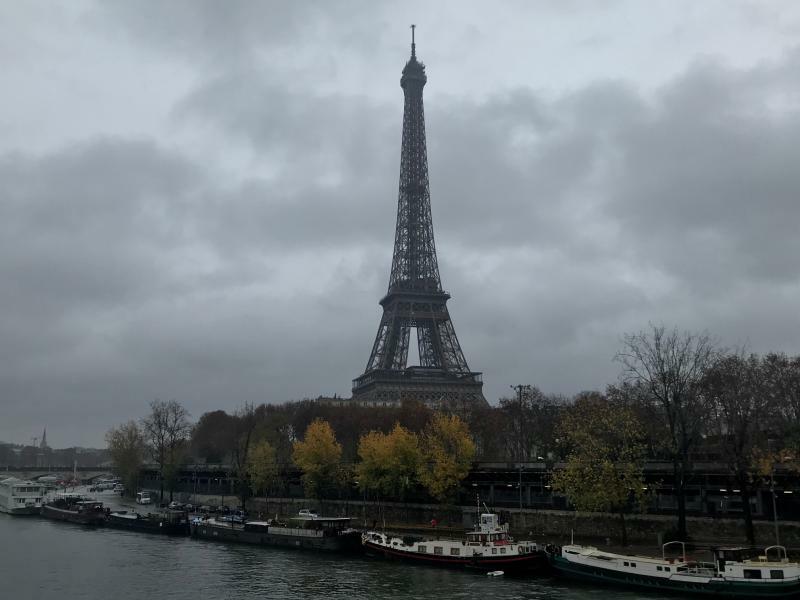 So, as you may have heard, it's a wet one in Paris today - with rainfall expected all day, heading into the game this evening. In short, bring your umbrellas and warm coats if you're heading to the game. What are Jürgen and the lads up to pre-match, then? Well, with no training session planned today, they've been out for a pre-match stroll in a park near their hotel here in Paris this morning. They'll then have lunch back at the hotel before the players spend the afternoon resting and relaxing in their rooms. Remind yourself of the situation in Group C as it stands below. 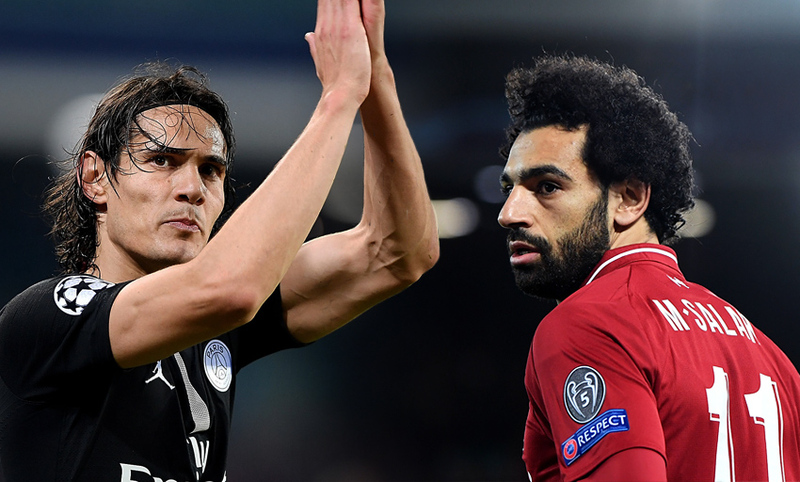 A win for the Reds tonight would secure qualification with a game to spare, provided Red Star Belgrade do not beat Napoli at Stadio San Paolo in the pool's other fixture. 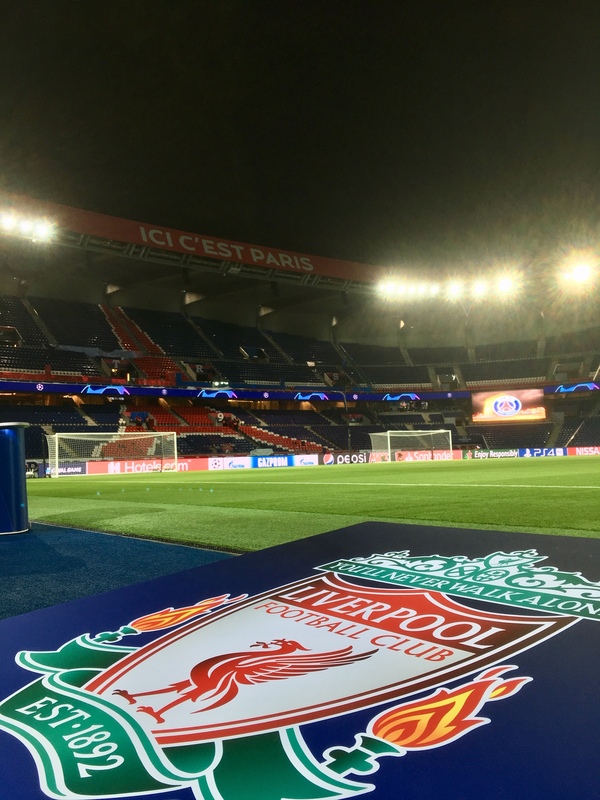 Liverpool, of course, take on Paris Saint-Germain in a Champions League match that could be pivotal for both teams in terms of their hopes of reaching the last 16. 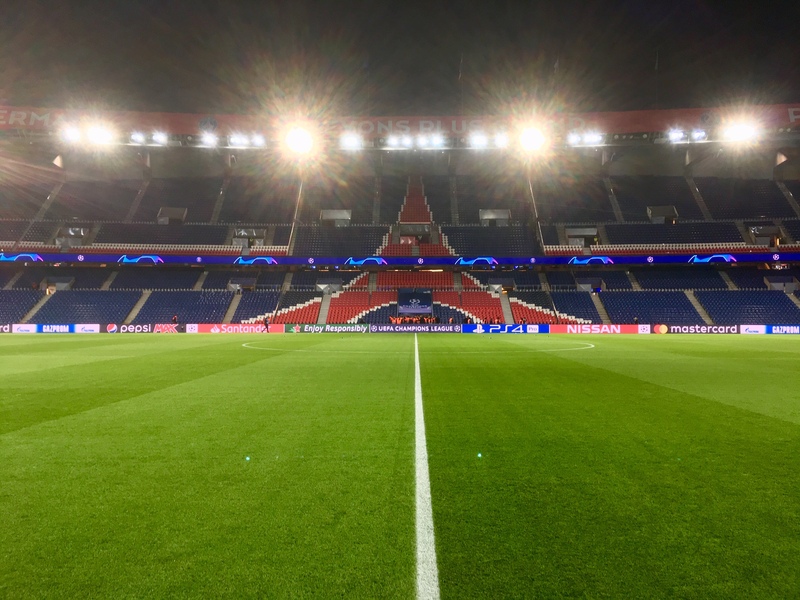 And we'll keep you right up to date with the goings on before, during and after the action at Parc des Princes.